Red Hat announced the beta release of the Red Hat software collection 1.0. 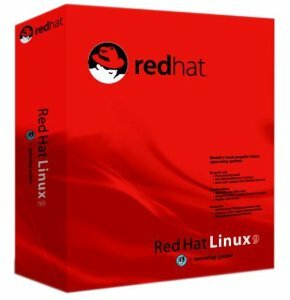 Red Hat Software collections 1.0 delivers the latest stable versions of some of the most popular web development languages and opensource databases. Ruby 1.9.3 with Rails 3.2.8, which delivers substantial performance improvements for web-based applications. This results in faster load times, improved unicode support and threading, and a large collection of ruby gems. Python version 2.7, which includes new unit test features, faster I/O, and tools and back-ported features from Python 3 to make future migration easier. Python version 3.3, which offers significant improvements in language consistency, Unicode performance, imports, and distribution of packages. PHP version 5.4, which includes new language syntax, improved performance and reduced memory consumption, and a built-in web server in CLI mode to simplify development workflows and testing. Perl version 5.16.3, which includes improved unicode support, performance enhancements, new debugging options, enhanced security, and a number of new and updated modules. Technology Preview of node.js version 0.10, which delivers an easy to use module for handling streams, better error handling with domains, and performance improvements for web application development. MariaDB version 5.5, which introduces an easy-to-adopt alternative for MySQL for Red Hat Enterprise Linux users. Binary compatibility allows MySQL users to drop-in MariaDB without converting data files. MySQL version 5.5, which offers performance, scalability, and usability enhancements. PostgreSQL version 9.2, which includes native JSON support, covering indexes, and significant improvements in replication, high availability and performance. Red Hat Software Collections 1.0 Beta is available now for use with Red Hat Enterprise Linux 6 to customers and partners with select active Red Hat Enterprise Linux Server, Red Hat Enterprise Linux Workstation or developer-related subscriptions.